Guerrilla Art Drive-in (GADI) je suradnički umjetnički multimedijalni projekt slovenskih i hrvatskih umjetnika. Radi se o multimedijalnim izvedbama u javnom prostoru, koji u sebi spajaju elemente gerila umjetnosti, eksperimentalne glazbe te umjetničkih filmova, a koristi uglavnom “Uradi sam” metode. Radi na ovom principu: kombi iz kojega se projecira film je pokretan ili parkiran na mjestu gdje postoji mogućnost da se parkiraju i auti posjetitelja. Film pratite, kao i u američkim drive-in theater, iz vlastitog automobila. Glazbu izvode glazbenici u kombiju, te se putem radio odašiljača direktno prenosi na vaš auto radio, mobilni telefon sa radio prijemnikom, ili radio prijemnik. Stanica, tj. frekvencija koju trebate izabrati objavljena je netom prije projekcije. i 23 h u Varaždinu, parking studentskog doma. 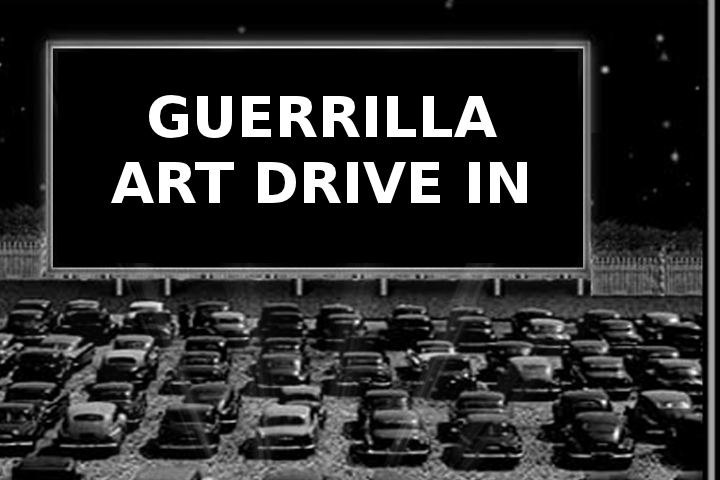 Guerrilla Art Drive-In (GADI) is a collaborative multimedia project between Slovenian and Croatian artists. It is a multimedia performance done in a public space that combines elements of guerrilla art, experimental music and movies using “Do It Yourself” method. It works like this: the van from which the film is projected is mobile or parked in a place where it is possible for visitors to park their cars. The audience watches the film as in the American drive-in theatres, from their own car. The music is performed by musicians in the van and the radio transmitter directs it to your car radio, a mobile phone with a radio receiver, or a radio receiver. The frequency you need to tune into is given just before the screening. 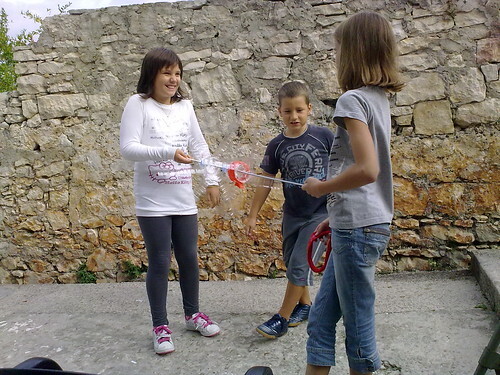 This entry was posted in info and tagged čakovec, events, MMKamp on 30/08/2012 by admin. 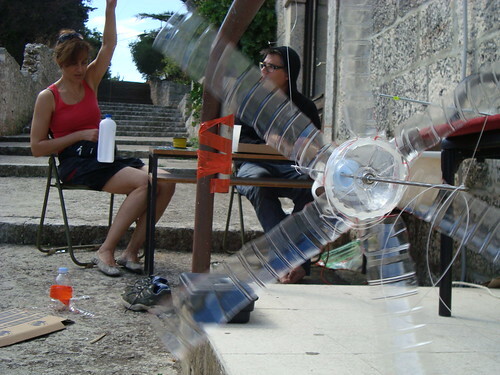 MMKamp ’10 hosted Ralf Schreiber with workshop on wind and sun powered instruments. Workshop was focused partially on recycled plastic botlles that were used as wind mills that were introduced as a way to power machines. This is short video showing a concept with 4 bottles on fixed pivot (pivot moves together with the propellers, for the difference where propellers move and pivot is static). Windmill from recycled plastic bottles from GentleJunk on Vimeo. 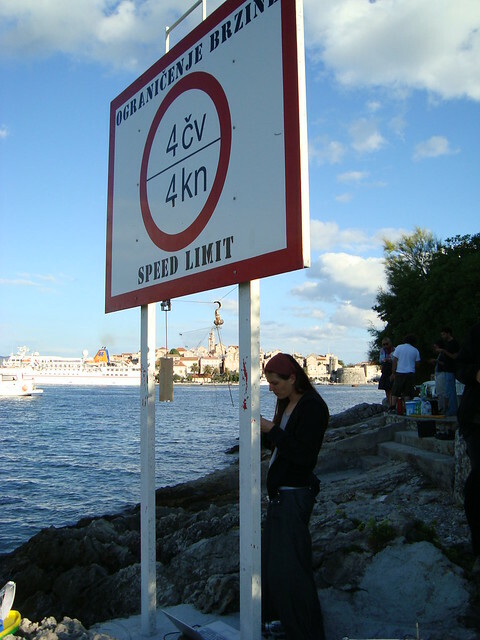 This entry was posted in info, photo, video and tagged events, Korcula on 03/11/2010 by admin. MMKamp 08 is planed in Art Workshop Lazareti, Dubrovnik, Croatia, from 30. of June to 12th of July ’08. Program and preparation can be found on MMKamp WIKI. Guests from Chille, Brasil, New Zeland, Switzerland, Belgium and Slovakia are expected, as well as from Crotia and Slovenia. This entry was posted in info and tagged events on 27/03/2008 by admin.